It’s National Burger Day! Although America may be considered the home of cheese burgers, they aren’t the only burgers that should be celebrated today. Burgers first became popular around the early 1900’s as just a meat patty slapped between two pieces of bread. Over time the ingredients used to create burgers have changed and have made the burger more delicious and sometimes even healthier. To celebrate National Burger Day the YMCA would like to you jump out of your comfort zone and try some of these delicious, and nutritious burgers! For all you vegetarians out there, or people who are looking to mix things up, the Bean Burger with Spicy Guacamole is the perfect burger for you to try. 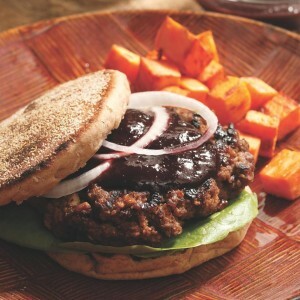 Using a combination of quinoa, beans and veggies to substitute ground beef, with some extra spices to give it a Southwestern flavor, this unique burger allows you to have a delicious and healthy meal. Preparation and cook time take about an hour. To read the entire recipe click on the name above. Cherries and burgers? Who would have thought these two foods would make an appetizing meal? In this healthy burger recipe, dried cherries are mixed in the ground beef which helps decrease the fat and increase antioxidants. Preparation and cook time take about an hour. To learn more about this recipe click on the name above. 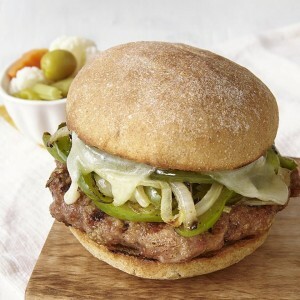 This burger is an interesting twist on the classic Italian sausage and peppers sandwich. Using a combination of ground turkey and turkey sausage as the burger patty, with sautéed or grilled onions and peppers, this delicious and nutritious burger gives you a high protein meal with less fat and calories. Preparation and cook time take around 30 minutes. To read more about this yummy burger, click on the name above. 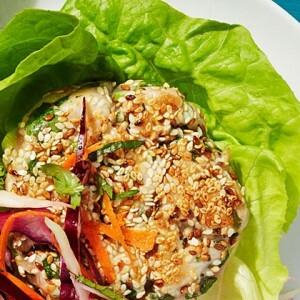 If you’re a fan of tuna and burgers, then this is the right burger for you! 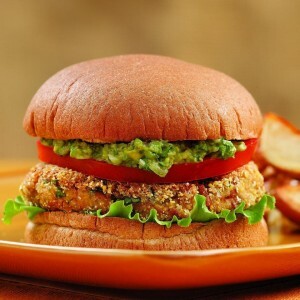 Instead of using ground beef, this recipe calls for fresh tuna mixed with veggies and spices as the burger patty. This low calorie, low carb and low sodium burger recipe is a great way to mix things up during your regular routine meals. Preparation and cook time take about an hour. To learn more about this recipe, click on the name above. Keep on trying new things and enjoy!